EAST LIVERPOOL–The East Liverpool took a pair from United and Indian Creek on Saturday. Cory Weyand’s 3 RBIs for East Liverpool led the Potters to a 6-4 win over United in the first game. Logan Torma had nine strikeouts on the mound for the Potters. Kamren Klakos had a double and an RBI for East Liverpool. Connor Bailey added two singles. United was led offensively by Brady Leymen who had two singles and an RBI. Ethan Antram added a single and two RBIs. The East Liverpool bats were alive in the second game in a 12-5 win over Indian Creek. Weyand had two singles and three RBIs for the Potters. Klakos had a double and an RBI. Bailey had another two single performance. East Liverpool is now 4-8 and will travel to Steubenville on Monday. United will host Wellsville on Monday. 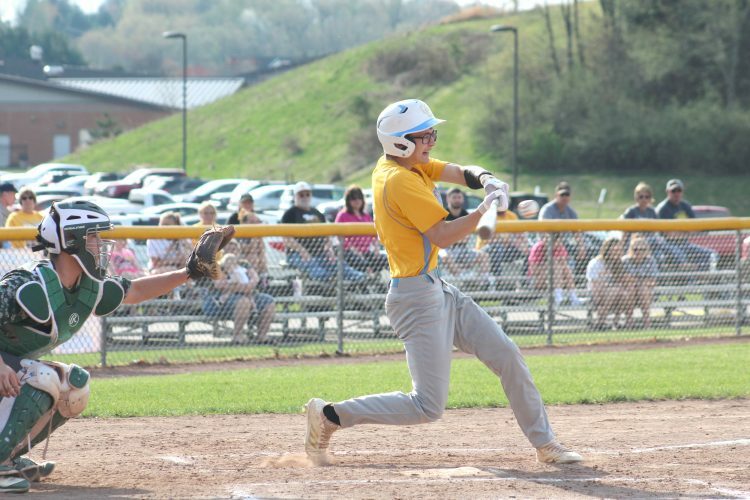 LISBON–It was a productive Saturday for the Lisbon baseball team as the Blue Devils swept a doubleheader from Eastern Ohio Athletic Conference foe East Palestine. The Blue Devils prevailed 5-1 in the first game behind a complete game from Cam Summers. Summers helped his cause at the plate with a triple and a single. Garrett Cox and Tyler Welsh each had two singles. In the second game, Lisbon outlasted East Palestine 7-6 in eight innings. Lisbon pitcher Logan Bell allowed five runs in the first two innings, but overcame the rough start to go eight innings with 13 strikeouts. Cox and Mason Rance each had three singles for the Blue Devils. Bell singled and doubled. The Blue Devils are now 4-6 and host Leetonia Monday. WELLSBURG, W.Va–Brooke scored the winning run in the bottom of the seventh to edge Crestview 3-2 in baseball action Saturday. Devin Turvey doubled and singled for the Rebels. MINERVA–Minerva picked up a 14-4 win over Claymont on Saturday. The Lions were led offensively by Shane Walters, Brock Croston and Alex Kimble who each had two hits. Minerva is now 7-2 on the season.